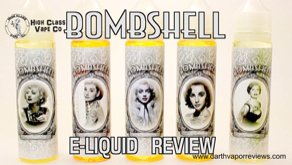 A review of the Bombshell e-liquid line from High Class Vape Co. Bombshell e-liquids contain USA sourced USP Grade Kosher ingredients available in 60ml bottles in four nicotine levels. 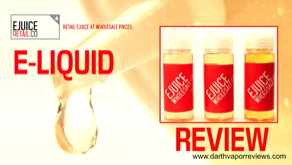 A review of three popular flavors from the Drip the Hype e-liquid line by Liquid Labs NJ. Drip the Hype e-liquids are made with USP Kosher grade VG and PG and 100% pure nicotine. 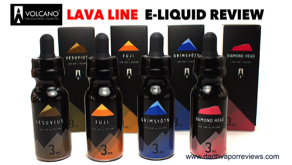 A review of the REUP e-liquid line by CRFT. 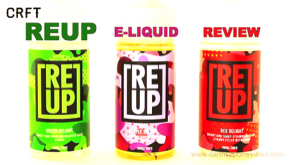 REUP are 70VG/30PG blends manufactured in a state of the art facility. 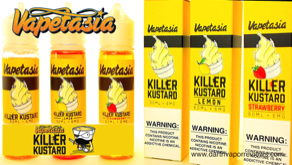 They are available in 100ml bottles in 0, 3 and 6 milligrams of nicotine. A review of two flavors from the Crepe Liquid e-liquid line. Based out of Las Vegas, Nevada, Crepe e-liquids are 70vg/30pg blends available in 60ml bottles in 0,3 and 6 milligrams of nicotine. 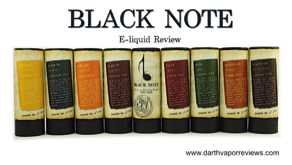 A review of the entire line of e-liquid by Black Note. This is a tobacco only line produced through the N.E.T. process which is Naturally Extracted Tobacco through cold natural extraction or cold maceration. The 6-8 week tobacco leaf..
A review of four popular flavors from Vaping Zone. 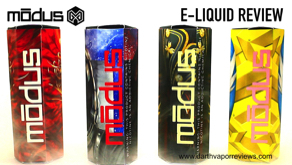 Based out of Columbia,SC, vapingzone.com offers hundreds of electronic cigarette products to choose from including a wide variety of e-liquids made in the U..
A review of the entire line of Just V.A.P.E., a new premium line of e-liquid. 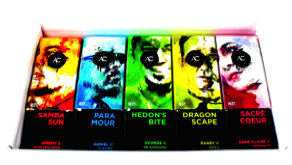 Five flavors: Viridus, Magnus, Nectarus, Blue Dulcis & Divinus Custard.